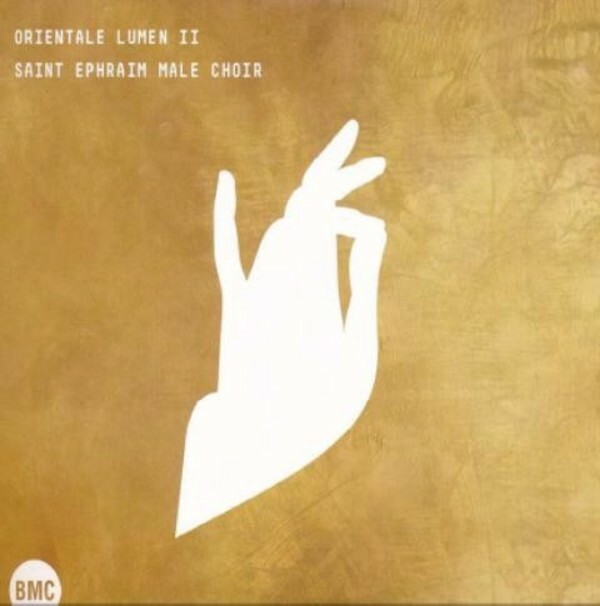 Orientale lumen – Light of the East:the title of the encyclical of St John Paul II was borrowed by the Saint Ephraim Male Choir for their concert series in St Stephen’s Basilica, launched in December 2012. The first season’s series was highly successful and instantly embraced by the audience; thousands wanted to listen to the 'vocal pieties' encompassing the unusually broad repertoire of Byzantine liturgical music. Eight concerts from the seasons of 2013 and 2014 serve as a basis for this double-disc compilation. Bulgarian, Greek, Hungarian, Russian, Ruthenian, Serbian and Ukrainian prayers can be heard on the recording, conveying and representing the religious sentiments from numerous decades. Contains Greek-Byzantine hymns, religious songs from Moldavia, Demestvenny chants, Bulgarian and Greek paraliturgical songs and compositions by Lambadarios manuscript (15th century), Dmitry Bortniansky (1751-1825), Peter Tchaikovsky (1840-1893), Alexander Gretchaninov (1864-1956), Sergei Rachmaninov (1873-1943), Pavel Tchesnokov (1877-1944), Lesya Ditchko (1939), Dimitrije Golemoviæ (1954), Márk Bubnó (1981) and György Philipp (1982).